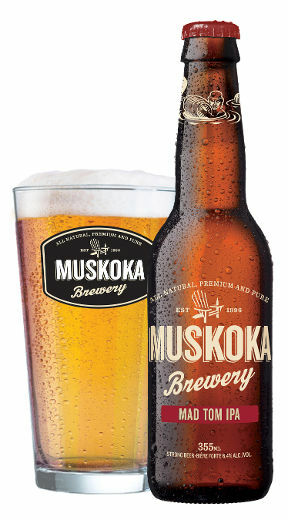 With craft breweries on the rise, it’s easy to find Ontario-brewed beer; often brewed with locally sourced ingredients. Canadians overall aren’t thinking local when purchasing beer and wine. The survey by a group called LoyaltyOne showed that less than 40 per cent of shoppers said it was very to somewhat important that beer is produced or sourced local, with 35 per cent for wine. Compared to fruits and vegetables, these numbers are miniscule – 98 per cent of shoppers saying it’s very to somewhat important that these commodities are local. The survey also found nearly half of the respondents said they’d pay 15 to 30 per cent more for local food, and more than 85 per cent said they’d increase their monthly grocery spending if local food alternatives were available. But do we ever buck that trend when it comes to beer and wine. Most of us are searching for bargains, chiding local producers for not being able to offer more competitively priced products. Look for Ontario-produced wine, marked with the VQA logo at the LCBO and in many grocery stores. But there’s no much more to the price of beer and wine than meets the eye, though, particularly given the way governments impose sin taxes. Plus there’s the price of land to grow the grapes, hops and other raw commodities, labour, distribution, marketing, etc. Many producers think the LCBO should do more to help them reach consumers, given that local alternatives to imported beer and wine are available year-round. Some branches do — the Scottsdale LCBO in Guelph does a good job of promoting local, and has built a following with its Ontario Riesling challenge. More LCBO outlets should follow its example, particularly given what consumers say is the biggest impediment to local food sales: that is, access.